Start the Booking Process Here! 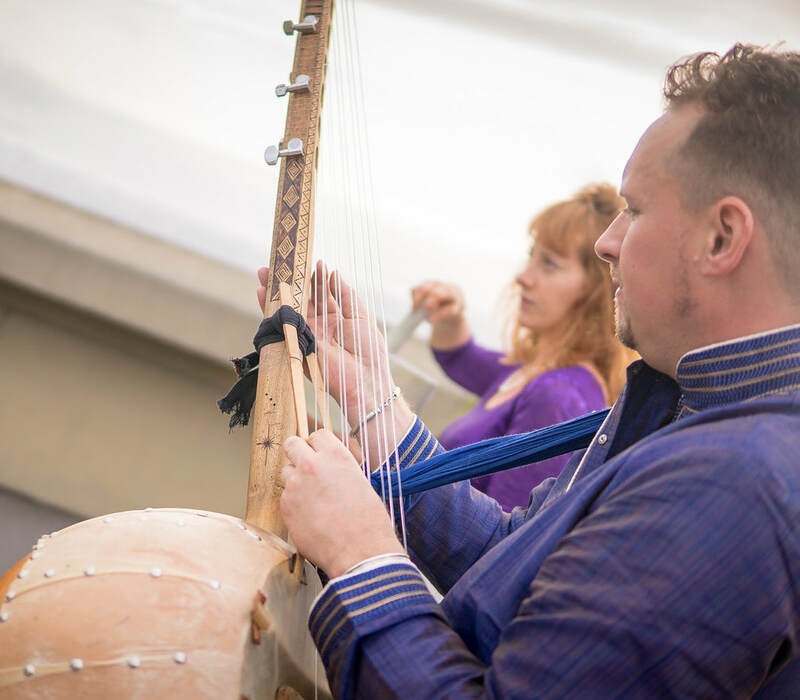 The beautiful healing sounds of the Hang vary depending on the instruments accompanying it. 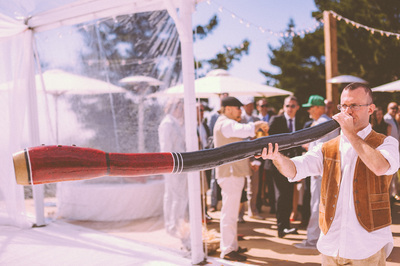 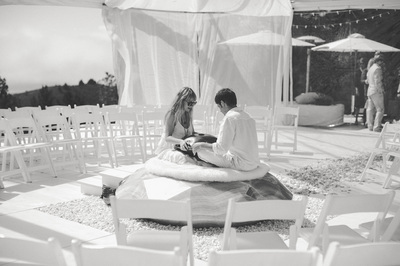 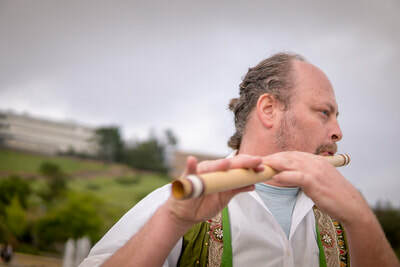 It is the ideal magic-making instrument for both traditional church wedding ceremonies and non-traditional Pagan, Neopagan, Goddess, Wiccan, and spiritual ceremonies. 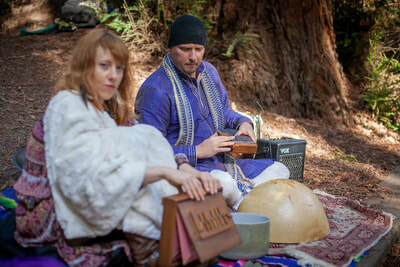 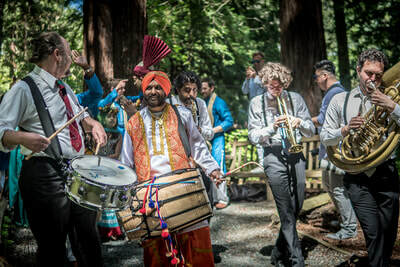 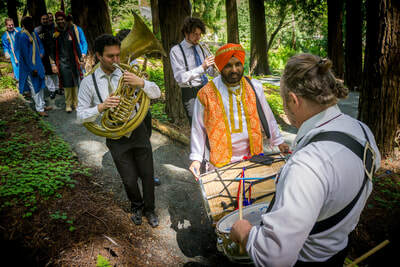 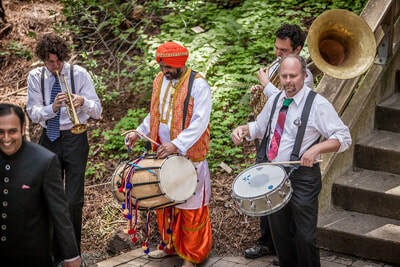 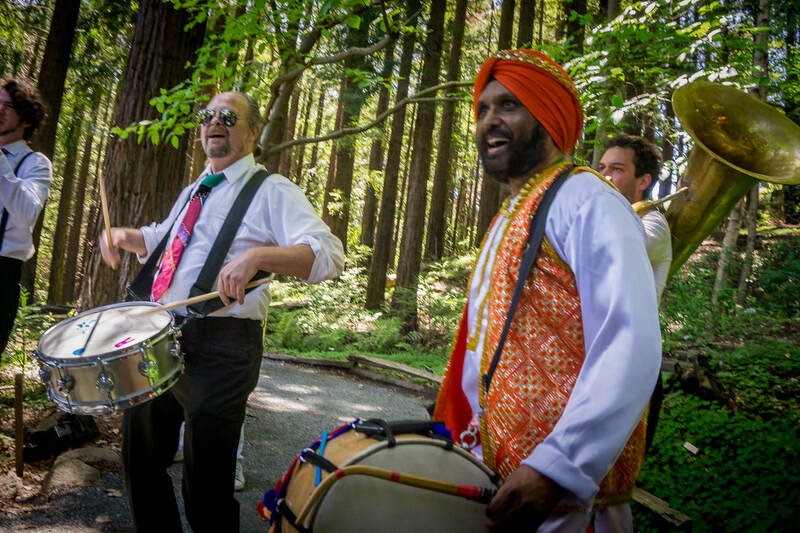 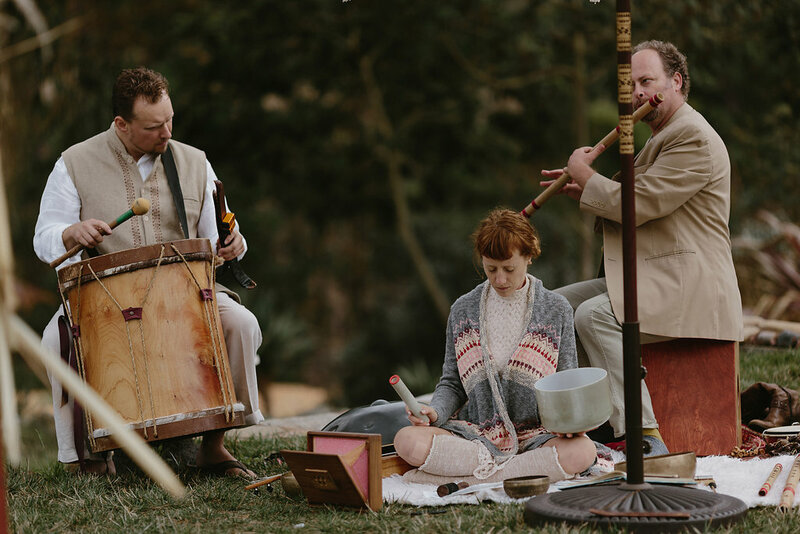 The unique duos, trios, and full ensembles that Jessica constructs have the ability to create many atmospheres such as: Bohemian, Middle Eastern, Meditational, Angelic, Sound Healing, Balkan, Turkish, Moroccan, Indian, African, European, and Mediterranean. 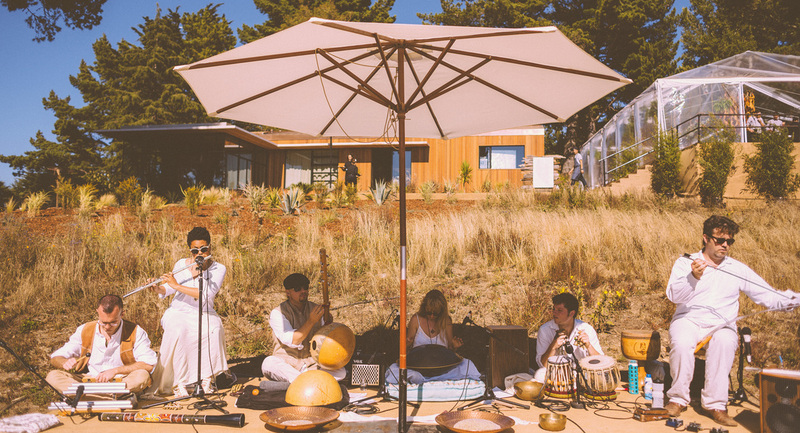 The Hang sounds extra luxurious in the outdoors surrounded by trees or ocean. Almost all music performed by Jessica and her ensembles are original compositions written for each wedding, with the occasional exception for traditional covers and specific requests made by the wedding couple. 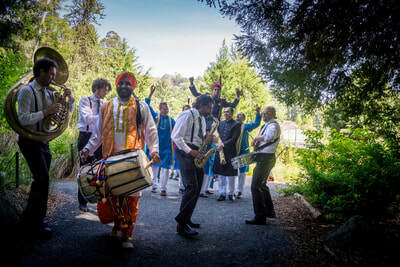 To hear examples of the Hang accompanied by different instruments, please explore our music page​ or contact us directly. 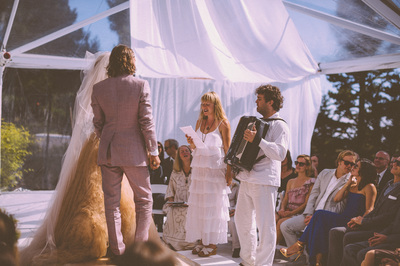 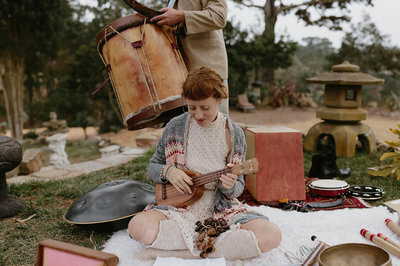 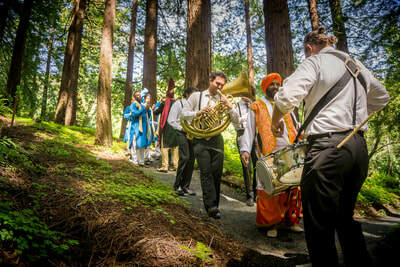 Jessica would also LOVE to design music for your reception with other talented local musicians. 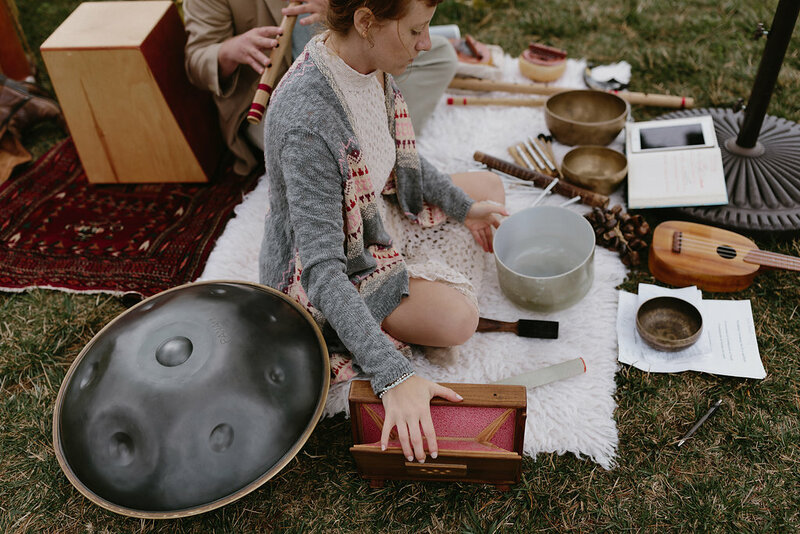 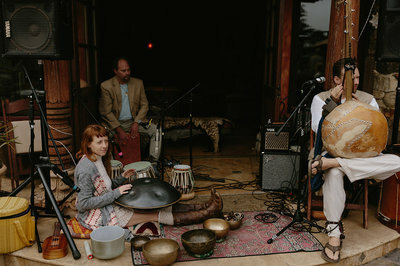 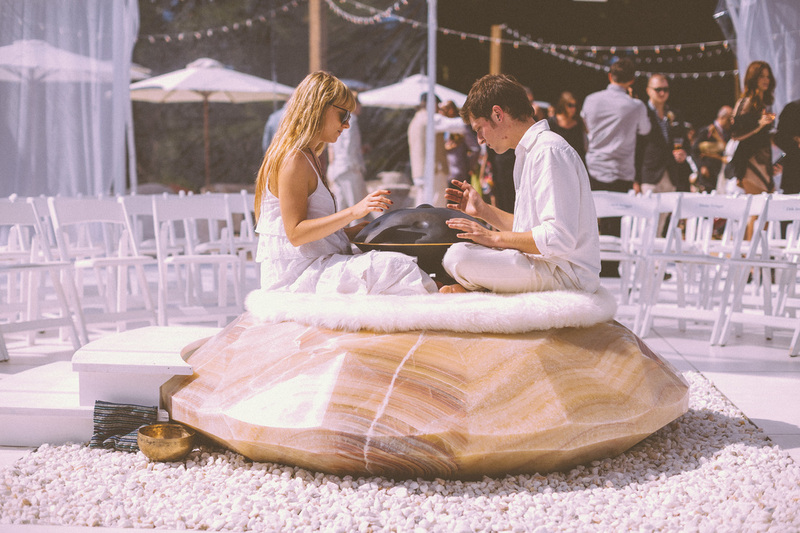 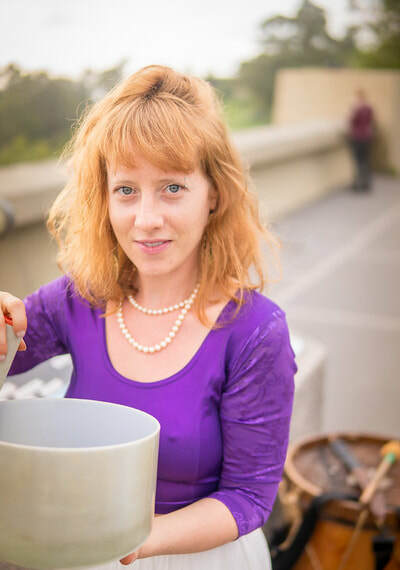 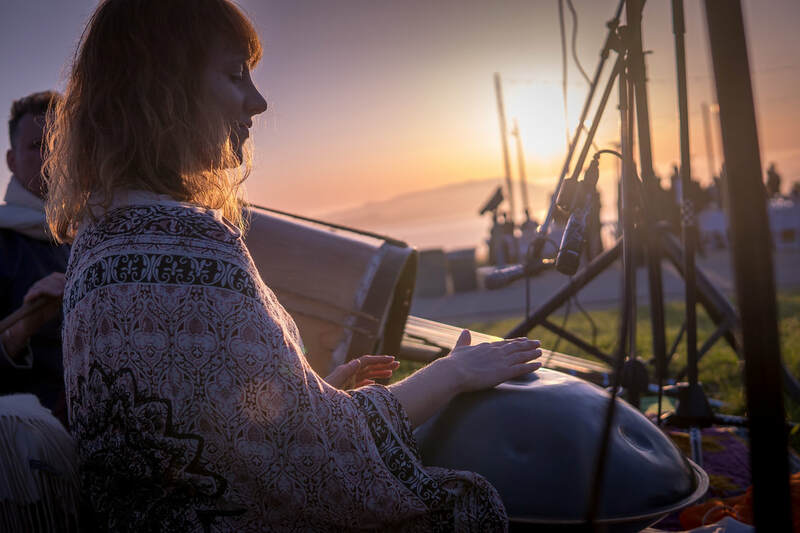 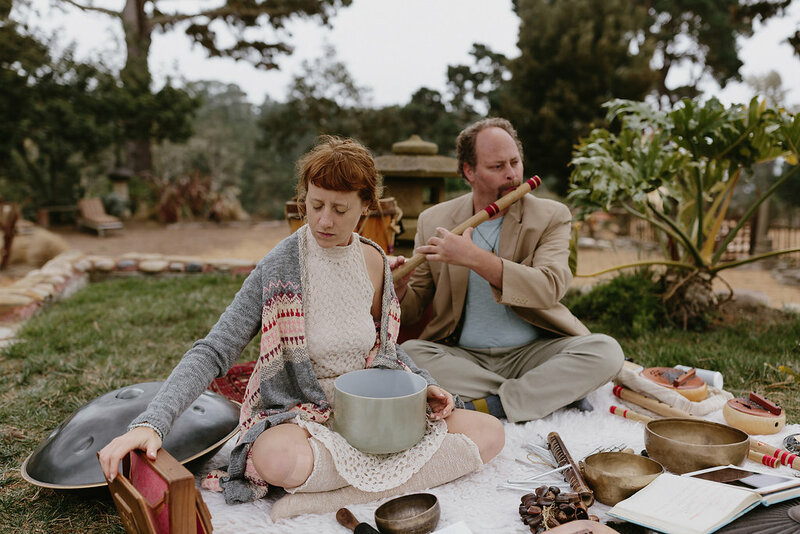 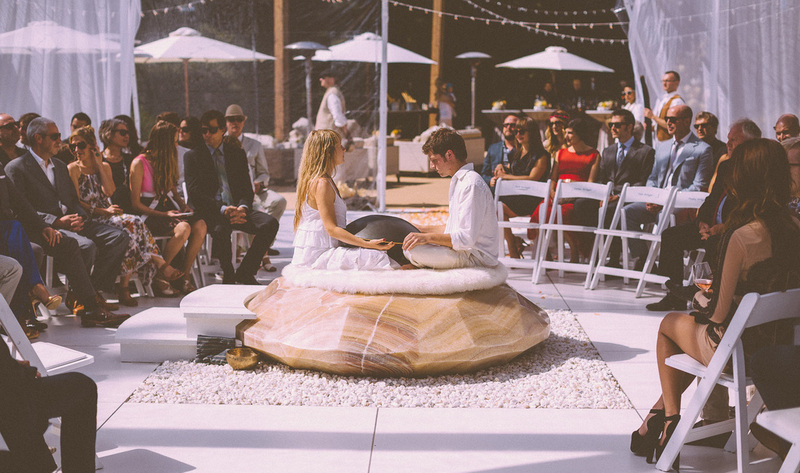 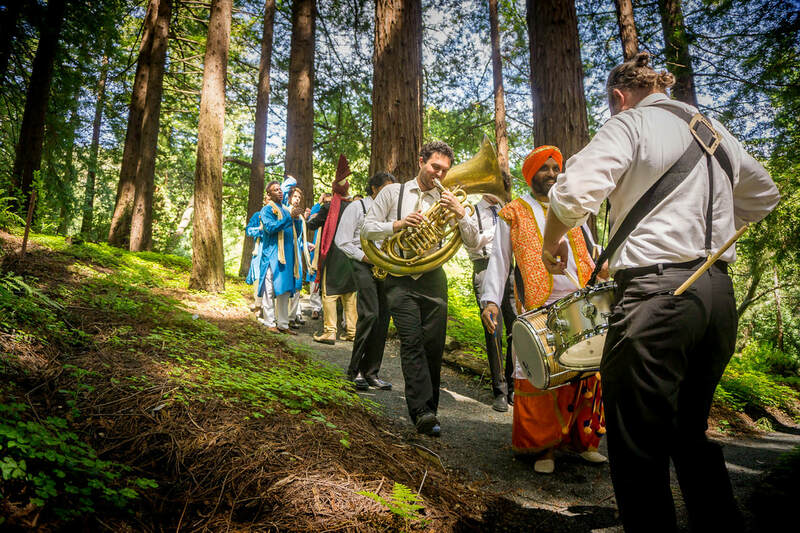 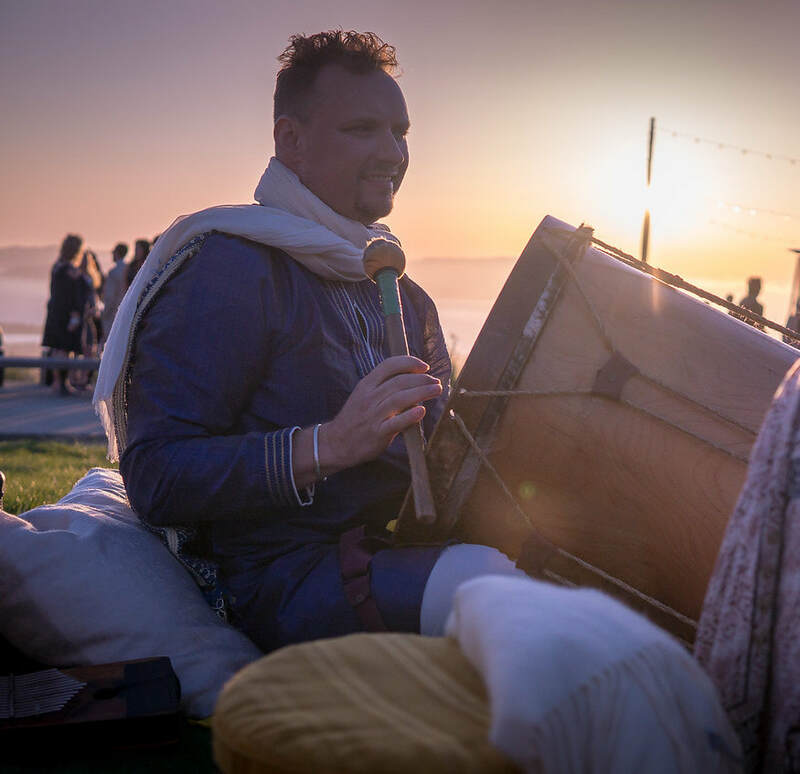 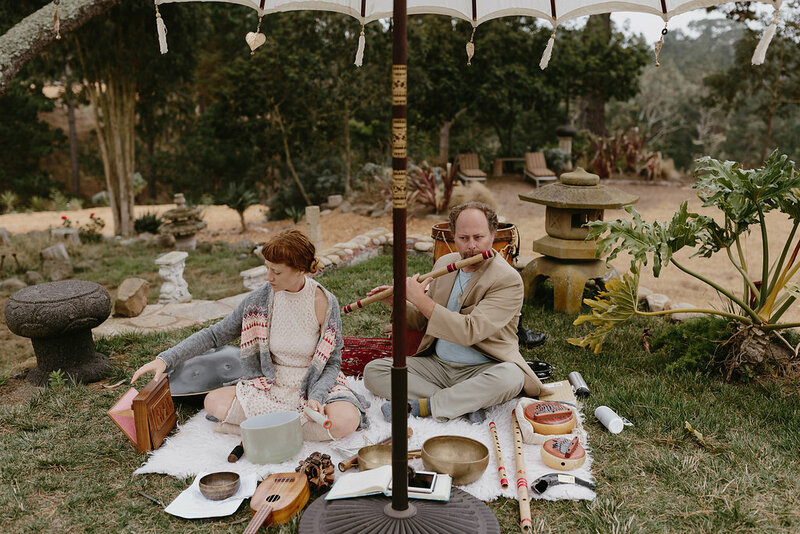 Sound Baths & Ceremonies with crystal and tibetan singing bowls, gongs, and a didgeridoo are both possible and encouraged as a sound healing addition to any package above. For more information about a sound bath or sound healing in general, please contact us directly.